Currently a WIP but its come a long way. 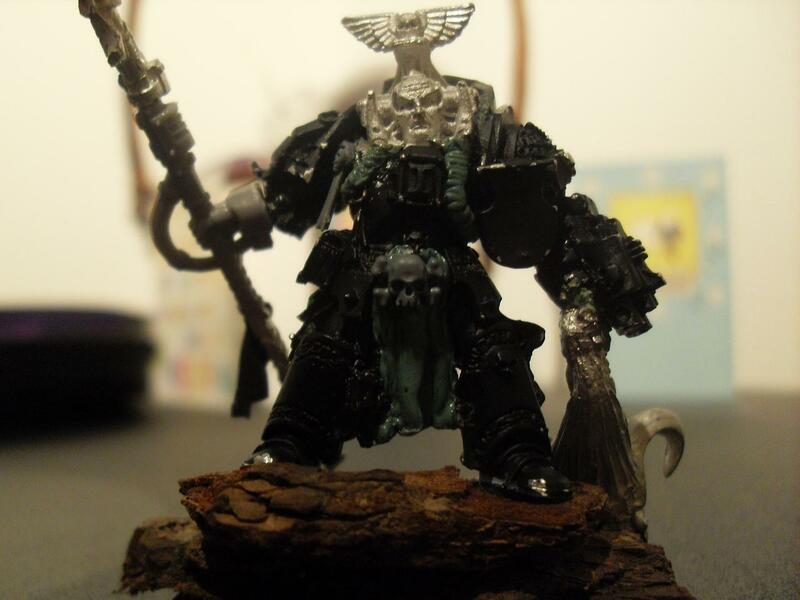 I had an old epistolery mini, who I went at with my saw, removed the head section and then cut into the termi body. For his back I used a new plastic termi backpeice, adjusted the sides to fit the older frame, then made him a warding stave. I used Sterns left arm and cut his hand out, fiddly! 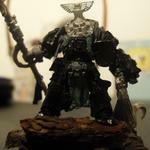 The demons head is a bit I had lying around for ages, possibly Inquisitor range stuff? Green stuffed new piping and a robe and here it is. Next stage is to finish the base and possibly add a lightning flash or two. Last edited by Bob_to_Some on Wed Apr 27, 2011 9:14 pm, edited 1 time in total. Started off with the jump pack chaplain, sawed off the justicar left arm for his storm bolter, gave him a force sword, and is now ready for green stuff. I will put the chapter stuff on him, but keeping it simple. Then there is my inquisitor and Librarian all together for a size comparison!